My name is Nanette S. Zeller. All of my life I have been studying art and nature, and exploring the creative use of textiles. In 2010, I began developing my own artistic voice incorporating surface design painting techniques, free-form machine stitching, and other innovative methods into my work. 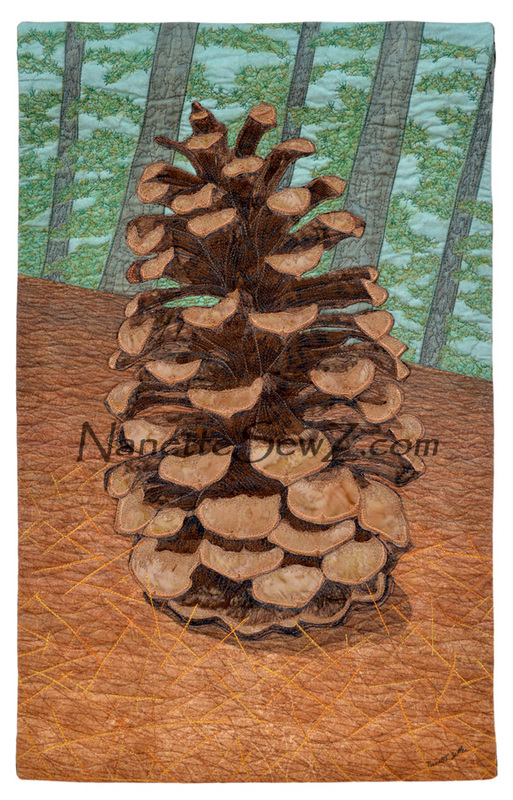 I create original art pieces which are referred to as art quilts. My style has evolved through a life-long creative exploration which is deeply influenced by my love of nature. I am an award winning artist who’s artwork has been featured in nationally syndicated publications, accepted into juried international exhibits, and displayed in regional and local art exhibits and galleries. Please join me on my journey.